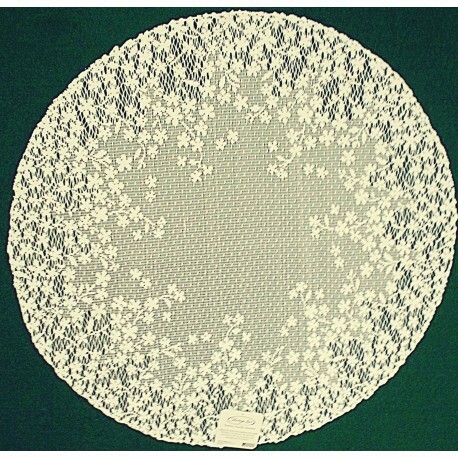 This simple, yet intricate, design has silhouettes of delicate blossoms cascading from the center onto the edges of each placemat. 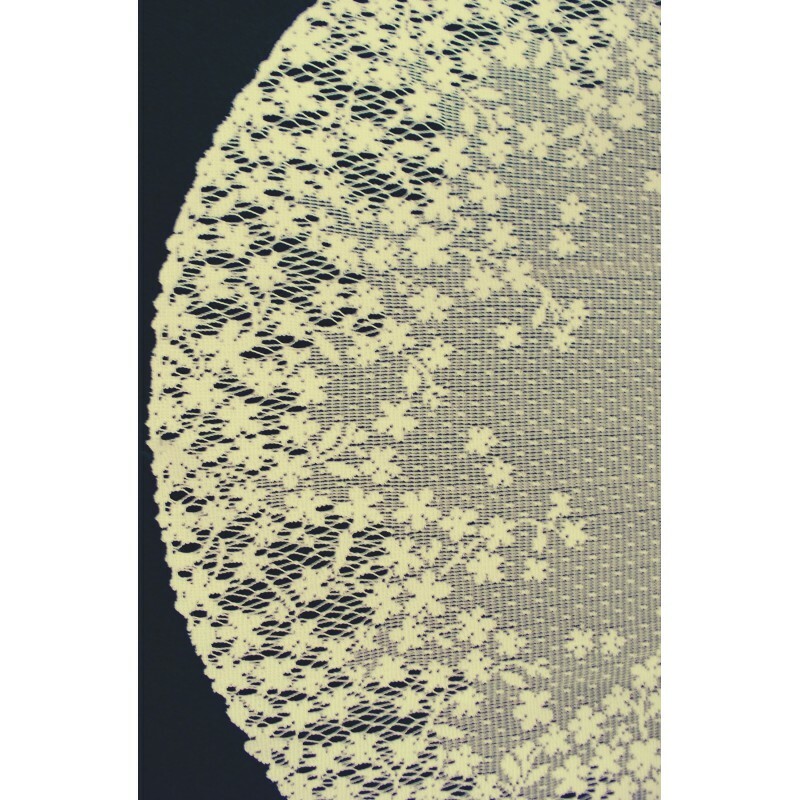 The lace is more tightly woven in the middle, but more loosely woven around the edges. More of a honeycomb woven lace. Size: 20 inch round, measured from side to side through the middle. A large doily! Care: Machine wash cold-gentle cycle. Do not bleach. Lay flat or hang to dry.